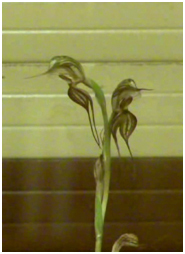 Short Paper 3 Identity of Pterostylis valida (Orchidaceae) by Rudie Kuiter was published in June 2017. In this paper, Rudie has tackled the difficult group of Rustyhoods or Oliogochaetochilus (specifically Pterostylis valida) within the genus Pterostylis. Many of the different species occur in isolated pockets over a wide geographical range. Differences can be subtle but Rudie has sought to clarify the distinction between P. valida and similar species. Click here read the complete paper. Are there any orchids growing in the desert? Think of deserts and the image is that of a bleak barren landscape with little to see but this is not so. The conditions are harsh but there is a myriad, though not an abundance, of hardy fauna and flora if one but looks closely. But concerning orchids – No orchids have been found in true deserts….. They also appear to be absent from the arid mountains of the far north-west, or at least no-one has ever found orchids there. Orchids need moisture and so they do not grow on unstable soils such as dry sand-hills, gibber plains or the many saline areas of the far north but on the desert fringes there are micro-climates where the moisture, humidity and soil structure is just right (to quote Goldilocks) for orchids. This micro-climate is created by [s]hrubland [which] is … [an] … important dryland orchid habitat. Besides providing shade and shelter for the orchids, shrubs like the many species of wattles, Acacia and hop-bush Dodonea drop fine leaves which help to hold the soil together and slowly break down into humus rich with nutrient and water storing capability. These shrublands usually form in soils too dry or shallow for trees. Orchids of course have no need for deep soils as they are shallow rooted. Of the five desert botanical regions, the Eastern region contains the most number of species with over a dozen species. Orchids of the Eastern Region – this region is from the east of the Flinders Ranges to the New South Wales border and includes the Olary Spur and Lake Frome. Arachnorchis toxochila – Dry Land Spider Orchid or Bow Lip Spider Orchid. Diplodium robustum – Common green shell-orchid. Microtis frutetorum – Common woodland onion orchid. Oligochaetochilus sp. Canegrass – Desert Sand-hill Orchid. The Gairdner-Torrens region includes, besides the salt lakes it is named after, the Gawler Ranges and the southern part of the Great Victoria Desert. Though not as many species as the Eastern region, it contains some different species including a Sun Orchid. Linguella sp. Hills nana – White haired little-greenhood. 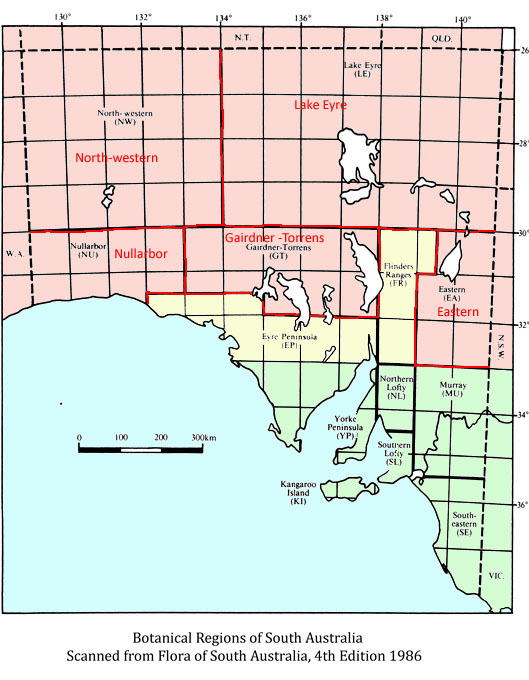 Third of this group is the Nullabor region. Consisting of flat treeless limestone plains, this area, surprisingly, has two species both of which have been found close to the coast. The final two regions Lake Eyre and North-Western contain the vast expanses of desert of the far north of South Australia. Definitely not a place to find orchids yet one specimen has been collected from each of these two regions. Oligochaetochilus sp. Everard Range (L. Scott 173), Mimili Orchid (possibly O. woollsii complex) from North-Western Region. Oligochaetochilus sp. Gammon Range (O excelusus complex) from the Lake Eyre region. It is unusual to find orchids in the desert because they only grow when there have been good winter rains which isn’t very often. But nevertheless, here in South Australia we have over 20 possible species – an astonishingly high number for such a harsh area! With the development of cities here in Australia, many of our orchids were lost as habitat was cleared and the newly arrived settlers built houses and reconstructed the gardens they knew from the Old World; but the odd pocket of native bushland has survived. Cemeteries and golf courses have often been the only refuge for remnant bushland. One such refuge has been The Pinery, Grange Golf Club, the only known location of Oligochaetochilus arenicola (syn. Pterostylis arenicola) on the Adelaide Plains. In the National Parks and Wildlife Act, this orchid is scheduled as vulnerable. 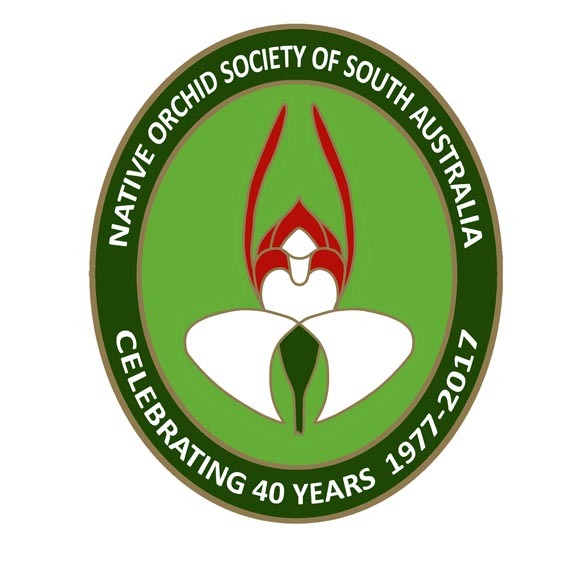 The Golf Club left this site intact and has been supportive of the conservation efforts of the Threatened Plant Action Group who in turn have received assistance from the Native Orchid Society of SA and the Natural Resources Adelaide and Mt Lofty Ranges. Typical of the rufushoods, this Oligochaetochilus arenicola shows the sencesing leaves, pendent petals and hairs on the labellum. A tiny remnant population of rare orchids which survives in a patch of bush on Grange Golf Course has increased 50% since last year, according to a new survey. 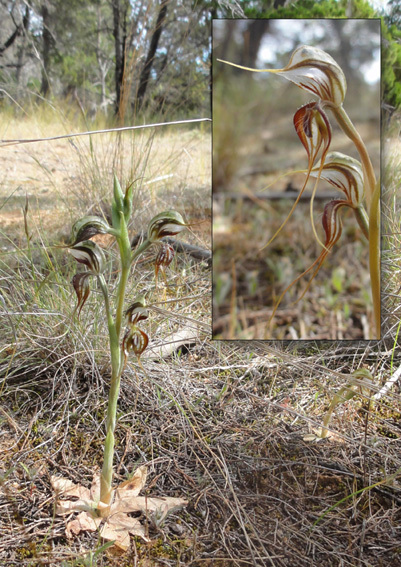 The survey conducted this month found 1200 individuals of the Sandhill Greenhood Orchid (Pterostyllis arenicola), a nationally threatened species which is considered critically endangered in the Adelaide and Mt Lofty Ranges region. 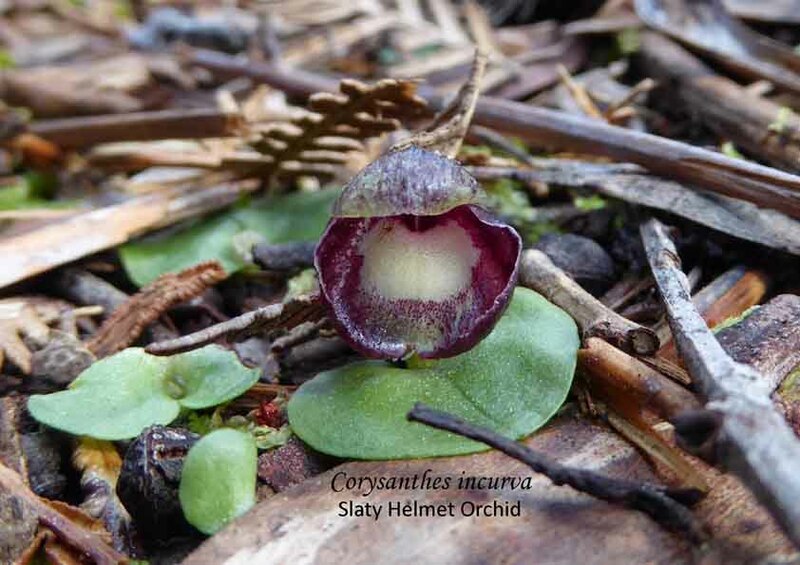 The orchid comeback is thanks to decades of care by four groups involved with the annual survey: the Threatened Plant Action Group, the Native Orchid Society of SA, Natural Resources Adelaide and Mt Lofty Ranges, and with support from the Grange Golf Club. The tiny fragment of native pine bushland in the middle of Grange Golf Course is one of the only known locations of this species within the entire Adelaide and Mt Lofty Ranges region, with other small populations known from near Wellington and Tailem Bend. 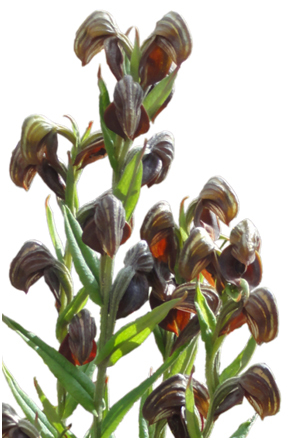 The orchid grows 10cm-25 cm high and produces hood-shaped flowers that are green and brown or red-brown with white markings. Most species of orchid flower for only a short period and for the Sandhill Greenhood, it will flower only for the next few weeks. Grange Golf Course just happens to provide ideal conditions for the plant: red sandy soils and an over-story of native cypress pine trees. Dedicated project partners have tackled the main threat to orchids – suffocation by Perennial Veldt Grass and Soursob weeds – through years of patient hand weeding. The orchid comeback is a great success story of collaboration across the community to save one of our state’s tiny floral gems. As a demonstration of nature’s interdependence, conserving the Sandhill Greenhood also means conserving a particular mycorrhizal fungus that must be in the soil for Sandhill Greenhood seeds to germinate. In addition, the flowers must be pollinated by a particular type of insect, the fungus gnat. The gnat is attracted by the orchid’s pheromones and tries to mate with the flower, only to find itself loaded up with a packet of pollen which it then transfers to the next flower as it continues its romantic adventures. While the survey results are good news, the Sandhill Greenhood population is still precariously small, and it is hoped that as the population grows, so do the options to secure the species into the future. South Australia has over 260 species of orchids, including 50 species of greenhood. For a free colourful field guide to local orchids, go to http://www.naturalresources.sa.gov.au/adelaidemtloftyranges/home and search for ‘orchid’.